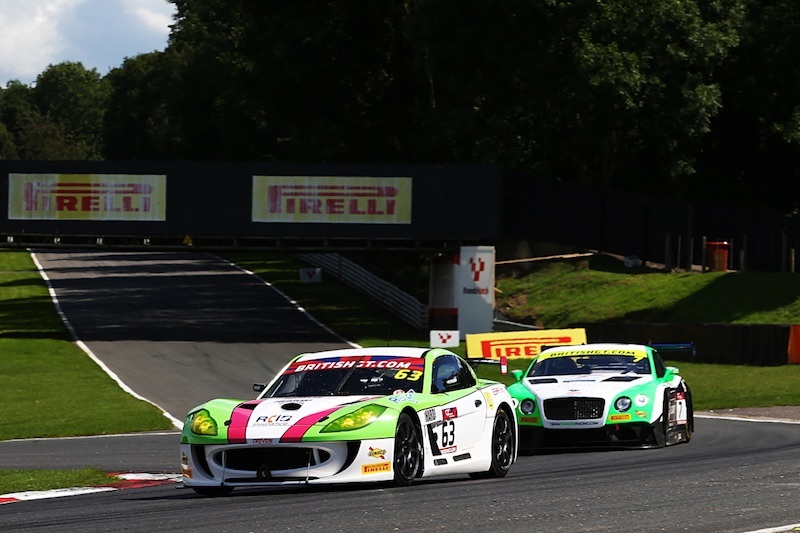 Matt Chapman underlined his clear potential in the ultra-competitive British GT4 Championship during the penultimate race of his maiden endurance racing season at Brands Hatch on Sunday, 6th August, by delivering the fifth fastest race lap in a very challenging two-hour encounter. Despite a niggling issue with the steering on his No.63 Ginetta G55 GT4 throughout the event, the 17-year-old from Oxford was able to produce excellent race pace during round nine of the campaign on the full Grand Prix track at the Kent venue – lapping faster than the GT4 winning Aston Martin. 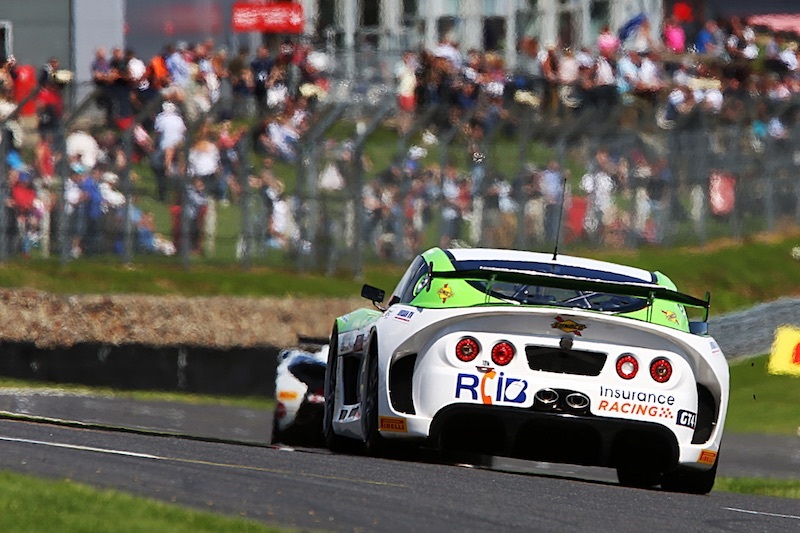 Partnered for the first time this weekend by British GT debutant Chris Milford, making his maiden visit to Brands Hatch, the team-mates ended the encounter – in which they were badly impacted by a mid-race Safety Car period – 14th in GT4 and seventh in the Silver class. Chapman’s key focus from the start of the weekend was to help Autoaid/RCIB Insurance Racing newcomer Milford get up to speed as quickly as possible, but with rain arriving ahead of qualifying on Saturday, 5th August, it made for an even trickier grid-determining session for the debutant. Milford ended the ‘Am’ qualifying session 17th fastest in GT4, eighth in the Silver class, while in the ‘Pro’ run Chapman was an improved 11th and fifth in class. Opting to stay with wet-weather tyres throughout, the decision didn’t quite pay off when the track dried sufficiently right at the end for slick Pirelli rubber. On combined times the duo had to settle for 17th on the grid for the big two-hour race, although it was actually 16th in GT4 when discounting the ‘invitation’ entry Toyota GT86. Milford took the opening stint and he moved up into the top 15 during the early going before being edged back to 17th place on lap five. Moving up into 16th when one of the leading Aston Martins retired, the race then fell under Safety Car conditions as a result and that had a huge impact on the No.63 entry. With the Safety Car picking up Milford, he effectively ended up a lap down on his rivals who were all able to continue for another lap before joining the train behind him. After the re-start, Milford remained on track until just after the one-hour mark to hand the car over to Chapman. Moving up into 15th spot in GT4, the Oxfordshire racer punched in some impressive lap times and with the Safety Car having had such a negative influence on the duo’s race all Chapman could do was push as hard as possible. With a rival McLaren retiring into the final quarter of an hour, Chapman climbed into 14th position and although another of the leading McLarens crashed out at Paddock Hill Bend on the penultimate lap, as it was already one lap ahead Chapman’s placing of 14th, and seventh in Silver, remained. “We knew it would be tough this weekend and, unfortunately, we did have an issue with the steering which was throughout testing, qualifying and the race”, reflected Chapman, “The guys at the team did a good job trying to get to the bottom of the problem, but we couldn’t seem to find the root cause. Donington Park Grand Prix Circuit in Leicestershire will host the final race of the British GT season some seven weeks from now, over the weekend 23rd/24th September.